The Northwest NLD5G laser detector allows you to locate red and infrared rotary laser beam easily in bright light and over long distances. It can be held by hand or rod mounted with an included adjustable rod clamp. This laser receiver features dual LCD display, easy-to-see arrow channels and two accuracy settings. 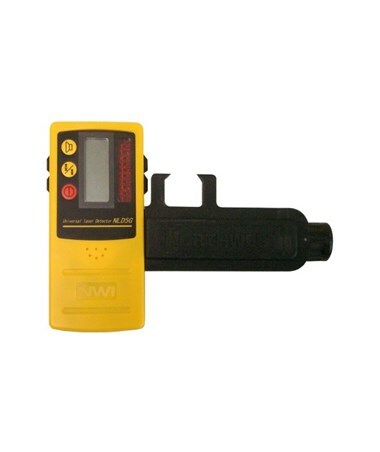 With front and back LCD display, the NLD5G offers visual readout on both sides of the detector. Its clear arrow channels can also be read indoors or outdoors indicating the position of the detector in the plane of laser light. The NLD5G has three distinct audio tones – high, on-grade and low with three volume settings. With the press of a button, construction professionals can also choose between an accuracy of fine and coarse mode. This Northwest laser receiver can be held by hand or rod mounted with an adjustable rod clamp that fits most leveling rods up to 2 to 1/2-inch wide. Featuring a rugged plastic housing, the NLD5G is gasket sealed for dust and water protection. It also uses one 9-volt battery that provides up to two to three months of normal use! 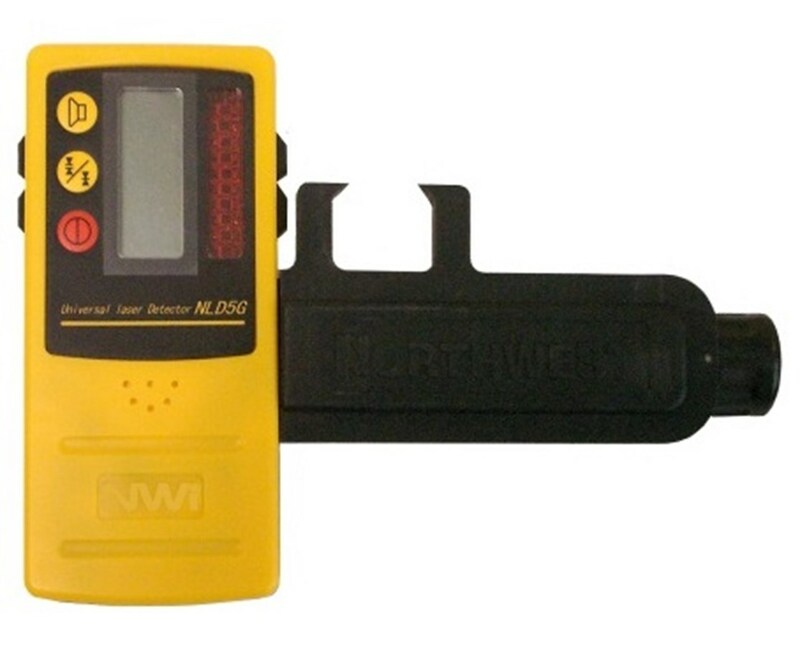 This Northwest Instrument laser detector package comes with a rod clamp and 1-year manufacturer's warranty.